If you are looking for an affordable vehicle that will save you money at the pump, consider buying or leasing a used hybrid car. Over the last five years the hybrid market has expanded to include a variety of body styles, expanded electric power range and plenty of advancements in efficient hybrid powertrains. 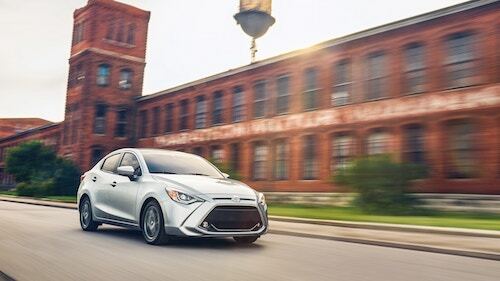 Although the diversity between hybrid vehicles can be confusing, auto authorities offer reports and reviews to help car shoppers select the best vehicles for their price and capability. Our used hybrid inventory frequently includes these top rated vehicles. If you are interested in learning more about affordable used hybrid cars we invite you to stop by and explore our selection of Used Cars in Rochester, NH soon. After nearly two decades the Toyota Prius is still going strong. In fact, the name “Prius” has become synonymous with “hybrid”. The Prius remains the leader in North American hybrid sales and is also one of the world’s most efficient vehicles without a plug. 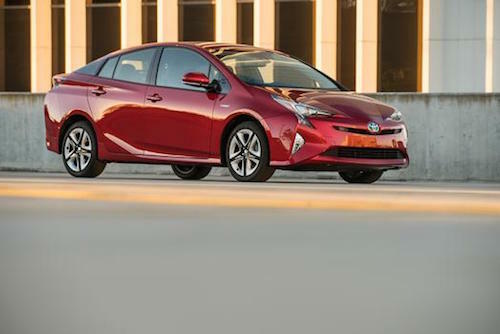 New 2018 Toyota Prius hybrids are available in seven model grades all of which are equipped with standard Toyota Safety Sense P (TSS-P). TheTSS-P set of safety features include a Pre-Collision System with Pedestrian Detection, Lane Departure Alert with Steering Assist, Automatic High Beams and Full-Speed Range Dynamic Radar Cruise Control. 2018 Prius Four and Four Touring models are equipped with a new standard 11.6-inch high-definition multimedia display. This vertically-oriented screen provides drivers with easy access to major functions including navigation. It also offers pinch and zoom functionality similar to that of smart devices. New design cues and expanded cargo space are found on new 2018 Prius hybrids. 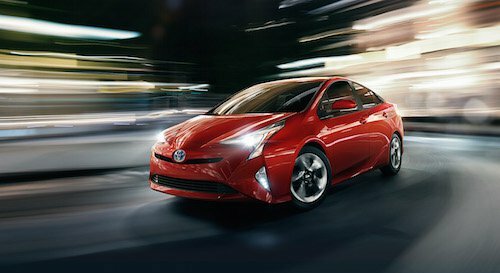 A new available Prius appearance package includes two-tone black and gunmetal front and rear bumpers, piano black side skirt rocker panels, and 17-inch 5-spoke alloy wheels with gunmetal inserts (Three and Four Touring Grades). These models also feature interior upgrades with comfy new seats, wrap-around dashboard and easy-to-use controls with improved visibility. As for extra space, the new Prius affords up to 65.5 cubic feet of cargo room. Our Toyota Dealership near Dover, NH. Has a wide selection of new Toyota Prius models to choose from. 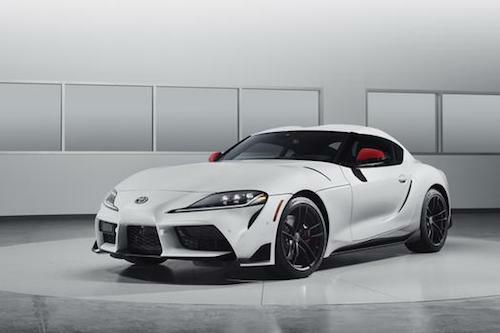 We invite you to come see everything this classic, hybrid vehicle has to offer.